The Kingwood Service Association Parks Committee is responsible for the oversight and maintenance of the five common park areas in the Kingwood area. Even though the Kingwood Parks are the private property of the Kingwood Service Association, all city ordinances apply within the environs of the parks. Residents are reminded that the city ordinance and the Parks Rules governing behavior within the parks require that all pets be on a leash. Everyone is encouraged to be considerate of others using the parks and maintain adequate control of their pets. A “K” sticker is required for a resident to enjoy the KSA park amenities. A “K” sticker can be obtained at the offices of Kingwood Association Management in Suite 104 at 1102 Kingwood Drive near the intersection of Kingwood Drive and Chestnut Ridge Drive. 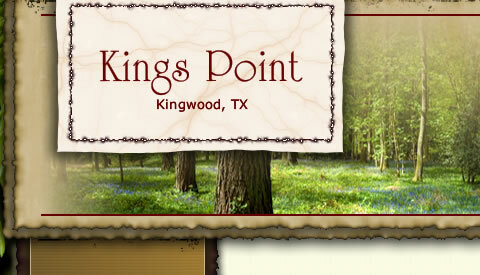 Proof of Kingwood residency is required. Their telephone number is 281-359-1102. Please be aware that the Parks Committee has a policy of towing any vehicles belonging to boaters using the River Grove Park docks who do not display a “K” sticker on their vehicles. Deer Ridge Park – Located at the south end of Woodland Hills Drive. Facilities include a gazebo and picnic area, tennis court, basketball court, volley ball court, playground area, baseball fields, soccer fields, horse stables, and FFA facilities. River Grove Park – Located at the south end of Woodland Hills Drive past Deer Ridge Park. Facilities include picnic area, boat docks, playground area, Disc Golf Course, and soccer fields. North Park Recreation Area – Located at the north end of Woodland Hills Drive. Facilities include softball fields and soccer fields. East End Park – Located at the east end of Kingwood Drive. 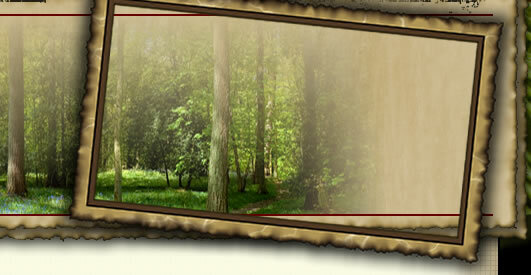 Facilities include nature trails. Creekwood Nature Area – Located in the cul-de-sac of Maple Park Drive. Facilities include nature trails. The Parks Committee meets the first Thursday of every month at 7:00 p.m. at the South Woodland Hills Community Room, 2030 Shadow Rock Drive. Everyone is welcome to attend.